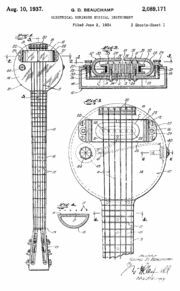 The Hawaiian Guitar (often called "Steel Guitar") had its origins just over a hundred years ago when an Hawaiian native musician, Joseph Kekuku, ran the back of a knife blade over the strings of a guitar and discovered a new sound never heard before. To avoid the buzzing of the strings against the frets he raised the action at the nut, laid the instrument flat across his knees and developed a new playing style. The Hawaiians had already "sweetened" the sound of the normal or "Spanish" guitar (brought to Hawaii by the Mexican rancheros) by tuning it to an open major chord. This meant that, without even placing fingers on the frets, you could get a nice sound by just strumming the strings. It didn't take long for the Hawaiian guitar to become a readily identifiable sound. 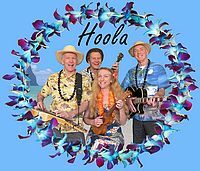 In combination with the strident rhythms of the ukulele (another newly evolved Hawaiian instrument), the Steel Guitar became a signature sound of Hawaiian music. These instruments were quickly adopted by musicians of other genres, particularly black bluesmen (who preferred Nationals) and country performers (who preferred Dobro style instruments). By the late 30s the first early "Pedal Steels" appeared. 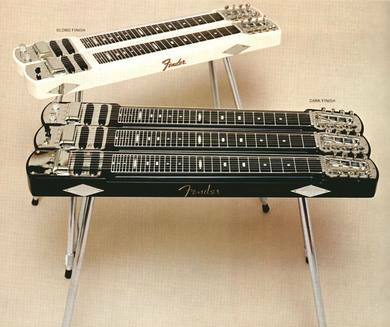 These Steel Guitars addressed the tuning limitations by means of changing the tuning as you played by means of floor pedals that (initially) tensioned the strings. Later, as the mechanisms became more complex and accurate (returning the strings to correct pitch after alteration), the floor pedals and knee levers ("pedals" activated by the knees) became capable of tensioning or slackening the strings to retune the instrument. 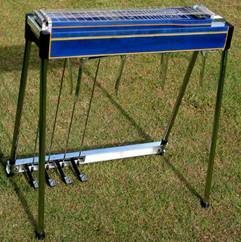 These instruments were mainly adopted by white country players, although there has been a simultaneous evolution of a black religious style which has come to be known as "Sacred Steel"
Here's a modern pedal steel. The Steel Guitar continues to evolve and can be heard on recordings by major artists in popular music such as Pink Floyd, Steely Dan, K D Lang, Bob Dylan, The Rolling Stones, Robert Randolph, James Taylor and more.